At 7:15 a.m., the automatic curtains in Amir and Melodee’s Manhattan loft slowly slid open. The thick fabric formed long pleats as it invited the rising sun’s orange-yellow glow into the bedroom. Melodee rolled off her side and onto her back, at once stretching her arm to her left. She reached for Amir before her eyes could even open. Melodee had done this every morning for the past year since moving into Amir’s Tribeca loft and he’s always been there. That morning and for the last three weeks, he was out of town on business. On location in California Amir was away filming the final scenes for what was predicted to be the highest-grossing film in his career thus far. 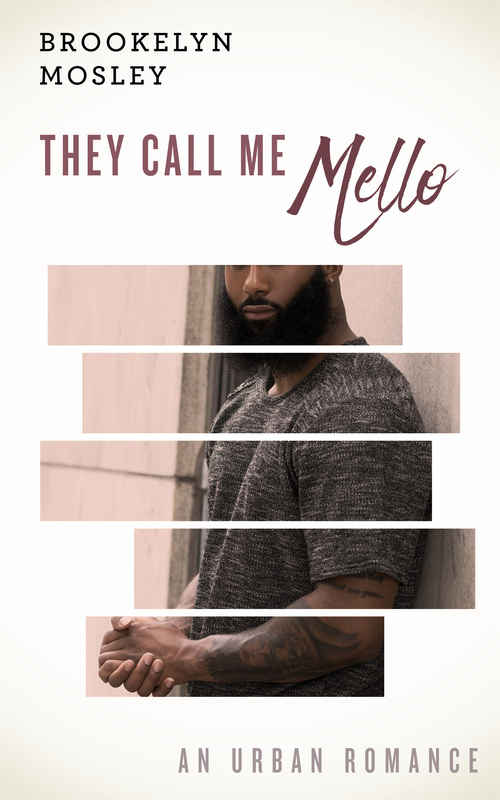 Critics were convinced this movie would make him Hollywood’s newest “golden boy.” Amir had been MIA in NYC but still stayed present in Melodee’s heart. She stopped the frown threatening to pull her lips down. That morning marked two days before she and Amir’s wedding. And that long hiatus of not seeing each other would come to an end. Melodee sat up slowly, glancing around the room. For the past three weeks, she’d been sleeping in another bedroom in the loft. After the first night of restless sleep without Amir, Melodee spent her nights in the guest bedroom deciding she would spend every night in that room until they were together again. That guest bedroom, was smaller but still larger than the average loft bedroom in New York City. She took a deep breath and leaned over, crawling to the other side of their king-sized mattress, reaching for her phone. She noticed she had one missed phone call. From Amir. During those weeks they were apart, they spent a lot of their nights speaking on the phone until their eyes weighed so much it felt like a workout to stay awake. But it was their thing and their way of still feeling close even when Amir was 3,000 miles away in California. He called every morning around 5 a.m., 2 a.m. Los Angeles time, when he knew she would be asleep all so he could leave her a voicemail that she could listen to when she woke up. Melodee stepped off the bed and grabbed her second smartphone. She used this phone specifically for listening to music… something Amir insisted she do to preserve battery life on her main phone. Melodee made her way out of the guest bedroom and down the corridor of the top floor, headed to the master bath. Along the way, she logged into her music phone then tapped into her iHeart radio app to tune in to her favorite station 102.4 FM. Melodee entered the master bedroom. 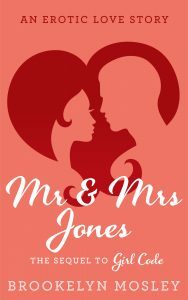 Her eyes immediately glided over two garment bags, designer shoe boxes, and a sea of high-end luggage sprawled all over the floor and on she and Amir’s bed. They were all wedding stuff. And in half an hour, assistants, wedding coordinators and the likes would fill the loft, busying themselves with packing all that stuff up to have the items whisked away to a castle in Long Island where Amir and Melodee planned to exchange their vows. She stepped into the bathroom and turned on the water in the marble stand-in shower while accessing Amir’s voice message on her main phone. “Good Morning, baby,” Amir said in his message. His honeyed baritone made Melodee bite her bottom lip. And the grin on her face stretched so wide people would be able to see it from the tallest skyscraper in New York. She moved the phone from her ear then pressed it against her chest, closing her eyes and taking a deep breath. Like every morning, after hearing his voice message, she wanted to call him. The only thing keeping her from doing that was the time difference. It was 4 a.m. in Los Angeles and disturbing him was the last thing she wanted to do after he’d been working so hard all day. So, like always she practiced patience. The theme song for Power’s popular Gossip Hour segment started up as Melodee stepped into the stand-in shower. “Of course,” Melodee mumbled to herself as she closed her eyes and walked underneath the sprinkling shower head. Media attention had become the usual for her. The public were familiar with her name and not for the reasons she would have liked. Officially a licensed psychologist, earning her doctorate just a few months prior, Melodee’s popularity hinged on being the fiancée of an R&B superstar and less for her accomplishments. At first, it was a difficult reality to accept since she’d sacrificed so much of her time and energy paving her own way and independence by earning her doctorate degree. But her love for Amir meant so much to her and being secure in her relationship made it possible for her to stand in the shadows of the man she loved. For the time being, it wasn’t so bad. “How the hell they get all this information?” Melodee questioned. “They are so cute together and I dig how down-to-earth Melodee is,” LaLa enthused. “Two million to be exact,” Melodee said as she lathered her arms with soap. “Five hundred, actually,” Melodee corrected. “What! That’s crazy,” LaLa chimed in. “Fifty thousand, why exaggerate?” Melodee asked as she stepped out of the shower. “I’m sure some will leak,” Mimi stated, her confidence clear in her tone. Melodee picked up her phone and clicked out of the app, silencing the two hosts. An hour later, Melodee exited the loft’s elevator with a bunch of sunflowers tucked behind her left elbow. The loft’s doorman was already up on his feet. “Good Morning, Melodee,” he greeted, walking ahead of her. “Of course,” she said exiting through the first door of the lobby. Flashbulbs from nine different paparazzi cameras went off as soon as Melodee’s all-black Converses touched the New York City concrete outside of the second lobby door. Their cameras didn’t fail to send off quick sparks of light. Melodee replied to not even one as she pushed her BVLGARI sunglasses up the bridge of her nose and sat them in front of her eyes. She took large steps toward the crisp white Maybach where her chauffeur, Cory, waited with the back door opened. She released a weighted sigh as she ducked into the car. Melodee placed the flowers on the seat beside her, drew her curtain closed, then leaned over the adjacent seat to draw the curtains on the other side closed too. Melodee flipped her shades up to the crown of her head and dropped her head back against the headrest. Once the chauffeur, Cory, sat in the driver’s seat at the front of the car, he honked at the paparazzo standing in front of the Maybach. “Can you move? Damn,” Cory yelled. “I apologize, Cory,” Melodee mumbled. The Maybach’s wheels slowed up the moment it drove through the gates of Rockville Angels Gravesite in Long Island, New York. The cemetery sat about five miles from the castle Amir and Melodee planned to wed. Melodee thought it was only right to visit there before the big day. The moment the vehicle stopped, Melodee heard Cory unhook his seatbelt, preparing himself to step out of the car to open her door. “It’s cool, Cory, I got it,” she told him, reaching for the bouquet of sunflowers beside her. She opened her own door and stepped out, her pupils adjusting to the bright July sun. She ambled to the larger-than-life headstone with 14-carat gold moldings and embossing. Already surrounding the headstone were fresh cut sunflowers that laid all around it and made the area resemble a garden. “Good Morning, Ms. Anita,” Melodee said as she placed her bouquet beneath Anita’s headstone. Melodee glanced around herself before she took a seat opposite it. She leaned forward to press her hand flat against the headstone and smiled. Upon learning of Anita’s gravesite location, Melodee had made it a priority to visit Amir’s mother’s grave at least once a month. The timing was perfect since she and Amir’s wedding was scheduled to take place on July 4th. Melodee’s scheduled visit was early enough in the month to stick to her monthly ritual. “The big day is in two days.” She pretzeled her legs and looked down at her hands. Her attention moved to the paved driveway Cory drove her up before her eyes returned to scanning over the sun-bleached stone angel that hovered over Anita’s black-and-white marbled headstone. Melodee looked past the headstone and into the distance then said, “I have told nobody this, but I’m nervous. As I’m sure you already know, this isn’t my first time doing this married thing.” She laughed to herself before sighing. The birds tweeted that morning. The wind whistled through the grass and trees, creating a peaceful aura around her. Melodee loved visiting Anita’s gravesite. 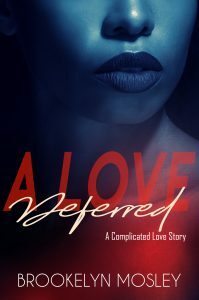 She appreciated the silence the most… even when there were other people visiting their own loved ones and Melodee wasn’t alone. The respect for silence appealed to her and for good reason. Melodee’s life had become busy starting from the moment she accepted Amir’s proposal on that Grammy red carpet. 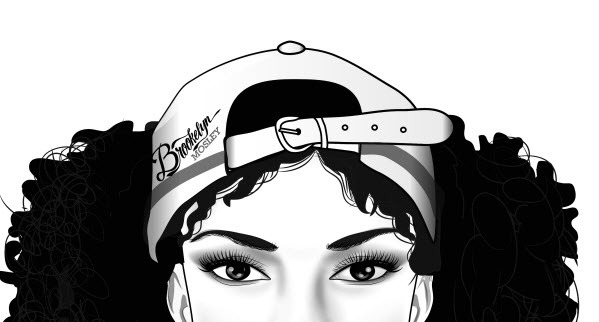 Interview requests, photo shoot opportunities, editorial write-ups about her and what she did with and without Amir. Gossip mavens dubbed every move she made worthy of a news story and she didn’t do much. It was exhausting. Amir’s love made it all worth it though. He treated her like a Queen. Everything she wanted or needed she didn’t even have to ask for it because he already provided her with it. Canceling studio sessions just to lay in bed with her all morning. Delaying interviews so he could make love to her for just one more hour was the norm. They were in love. The fame was just a flaw she would accept in exchange for the happiness he always provided. “Despite it all, though, I love your son. I’ll deal with a million paparazzi for him.” She laughed. “You raised an amazing man, and I can’t thank you enough for that,” she said, staring at the hand-carved sculpture mended to the top of the headstone. Amir had the sculpture created in the likeness of Anita equipped with her very own crown. “Maybe one of these days, Amir and I will visit together. He prefers to visit you alone and I have to respect that. I know he’s still hurting with you being gone.” Melodee’s eyes filled with tears she blinked back. Amir had not told her explicitly he didn’t want her to go with him to his mother’s grave when he visited but he never invited her either. His reason was he didn’t want for her to see him in that way, not yet at least. Melodee heard quick steps in the grass to her left. She turned her head in that direction and squinted her eyes, peering through the sea of headstones to glimpse a camera flash and then another. She sighed. “Time for me to go. They’ve spotted me,” she said with finger quotes. Her phone rang as she stood up from her seat on the grass. 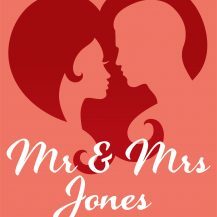 Mr. & Mrs. Jones will be available February 14th. Pre-order is available now. Click the photo below to pre-order your copy today!